Do you have a car in need of service? Pearland Mobile Auto Repair is the mobile auto mechanic for you! We are available for mobile car repair in the Pearland, TX. area. When your vehicle handling is not working properly, the car has stalled out, or you simply don’t have time to take it by a shop, you can rely on us for mobile auto repair service. Our ASE certified mechanics can complete your necessary auto repairs at your home, office, or vacation spot. We do not just service cars either; we service trucks, Recreational Vehicles, and trailers. It is all a part of how we endeavor to best serve the customer. The convenience we provide our customers makes auto repair service a stress-free, easy experience. While you continue your day, we get your vehicle back to perfect running condition. We have over 10 years of experience, and our auto mechanics are the only experienced technicians in the area that come directly to you! So we keep all that in mind when you call. We genuinely care and want to get you back on the road as soon as possible. 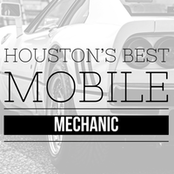 Pearland Mobile Mechanic: 713-497-1202 Mobile Mechanic Pearland, TX.